We might be headed into Fall 2018 trends but Guerlain KissKiss Creamy Satin Finish Lipstick is all about Summer in my opinion! 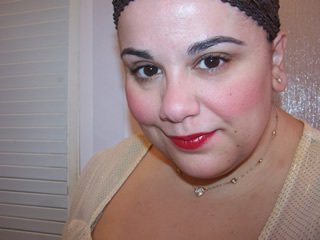 The bright pinks, oranges, and reds reminded me of the Lipstick Queen The Dating Game shades that launched a few short months ago that I’m wearing below. The collection of lipsticks is available in five shades selections that contain hyaluronic acid spheres to plump and hydrate lips and a creamy, satiny finish that wears comfortably.